It makes us feel uncomfortable to see talented people who follow a different path to the traditional educational system not have the opportunities to receive guidance for their projects. The world we want depend on us. 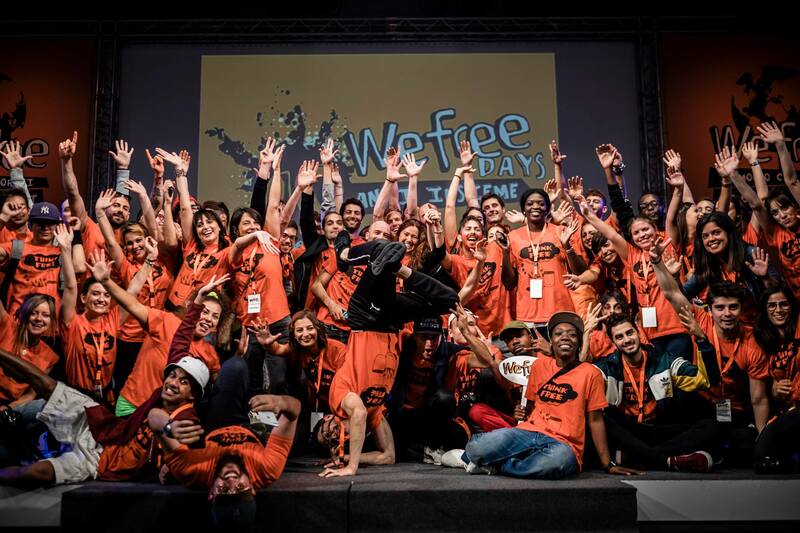 The WeFree days is an event entirely dedicated to young people organized by the people of the community of San Patrignano, which hosts more than a thousands people an a path of recovery from addictions (such drug). We spent 3 days giving dance workshops, we took part in a talkshow and we worked in close contact with hundreds of high school students (3000 visited the event in two days), the people from the community of San Patrignano, and other organizations from Canada, Uganda, Portugal, UK, Italy and Germany. Cristian participated on behalf of other organizations in 2010 and 2011. In 2016 he brought the wedohiphop team, with the aim of sharing the wedohiphop experience and coach two young Dutch talents on social entrepreneurship. Our grand vision is to make use of the WeFree network to organize activities in more countries throughout the year. Get in touch if you wish to connect with the WeFree network.